It Doesn’t Get Much Prettier Than Milk Glass! Learn How To Identify These Beautiful Pieces. Milk glass was produced around 300 years before it reached the height of its popularity, which began around 1870 and lasted through the early 20th century. When it came to milk glass, the French were the trendsetters, ushering it into its golden era and inspiring American glassmakers to follow suit. Today French milk glass is particularly valuable. Emulating the French, well-to-do American families stocked up on milk glass dinnerware, serving dishes, and pitchers. The pieces, some bedecked with diamond-cut patterns, molded with latticework, or artfully painted, made a splash in turn-of-the-century America and remained popular until the days of the Great Depression. 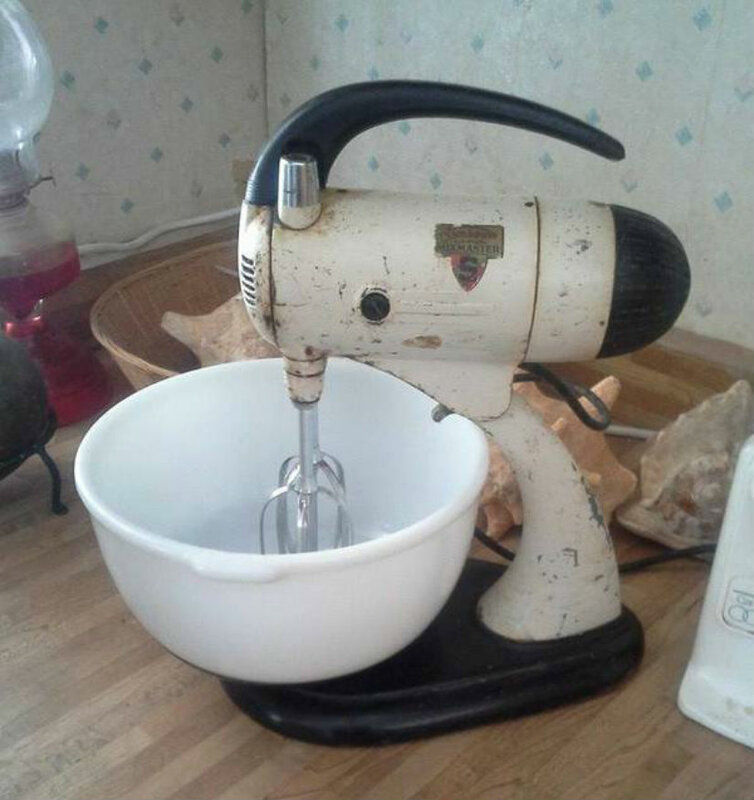 They came back into vogue during the 1960s thanks to the production of Hobnail milk glass, but fell out of the spotlight shortly thereafter. Some of the more American popular milk glass manufacturers include: Gillinder & Sons, Indiana, Westmoreland, New England Glass Company, Atterbury & Company, Bryce Brothers, and Fenton. Milk glass is (quite literally) a centerpiece of American history, and today collectors gush over rare and one-of-a-kind pieces that highlight the nation’s past. Prominent figures often had milk glass produced in their honor, whether it was the bust on a casserole dish or a relief on a serving platter. If you’re a history buff, keep your eye out for plates featuring a border of 13 stars and George Washington’s likeness. Also of great fascination are the milk glass plates that launched the 1908 presidential campaigns of William Howard Taft and William Jennings Bryan. There’s even a rare platter featuring a Lincoln relief so ornate it’s speculated that the piece was part of dinner service at a commemorative event. Pattern:Notable 19th century milk glass patterns includeArches, Block, Fan, Ribbed Grape, Holly and Button. These patterns are especially valuable. 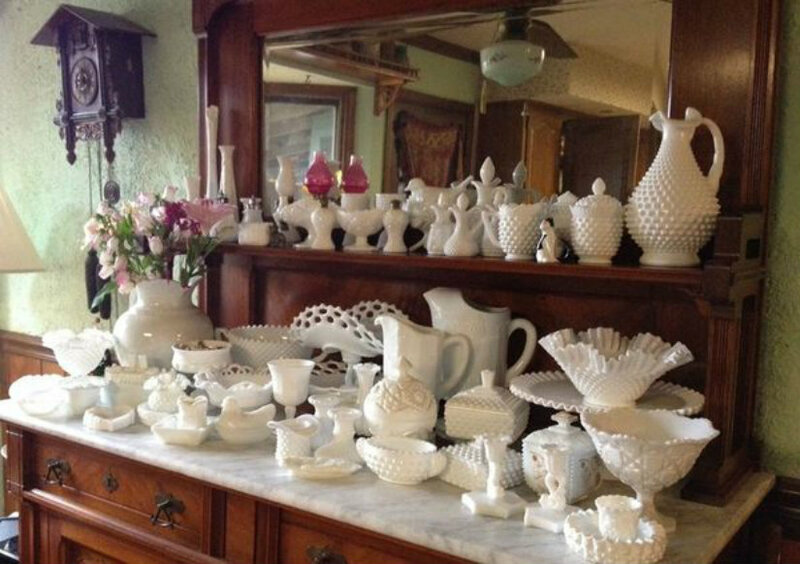 Age:It’s rare to find milk glass that dates back earlier than 1850, but most any piece in good condition from the 19th century is of value. If you own milk glass from the 20th century, take into account that pieces produced during World War II are highly sought after. Shape:Keeping in mind that age usually adds value, look out for milk glass figurines, candy dishes, and glasses, which were produced predominately during the 1880s. 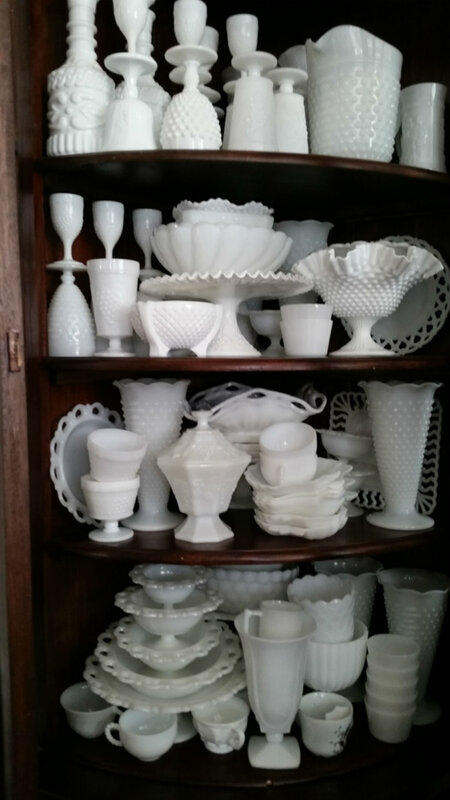 Color:Most 19th century milk glass is a deep white color, more opaque than 20th century counterparts. If you have a colored piece of milk glass, it’s likely from the 20th century, when producing milk glass in various hues grew popular.